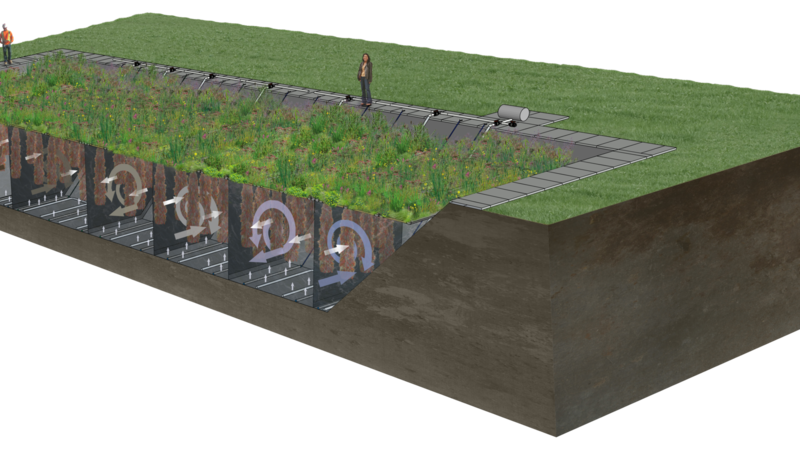 The Helix Flow Reactor has been engineered to provide a modular ecological wastewater treatment system with a smaller footprint than a constructed wetland. This is the ideal choice for high strength influent. 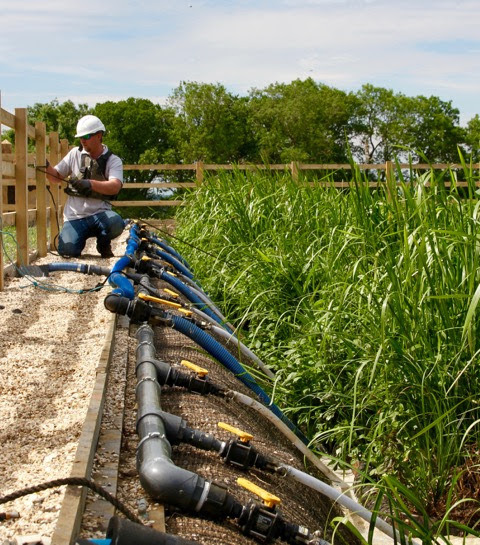 The Helix Flow Reactor integrates the latest developments in ecological engineering with traditional wastewater treatment processes to offer a more flexible, powerful and long lasting version of the tried and tested reed bed technology. It is less than a tenth of the size per person equivalent and can handle higher BOD and COD influent. 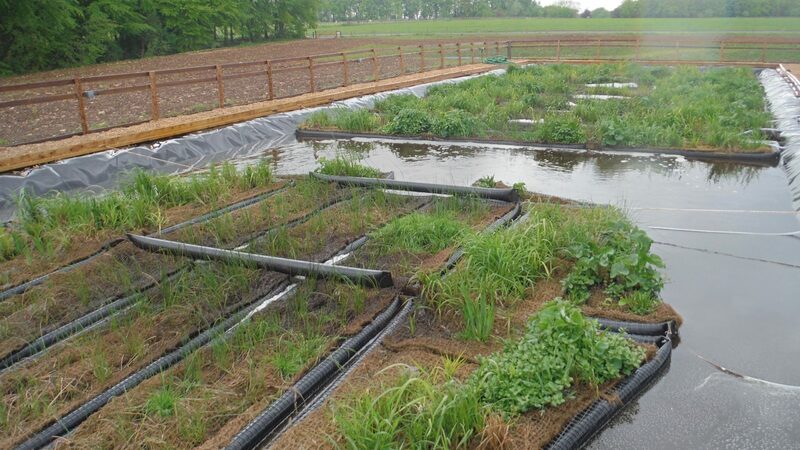 It can be used on its own or as a primary treatment stage before a smaller constructed wetland system. 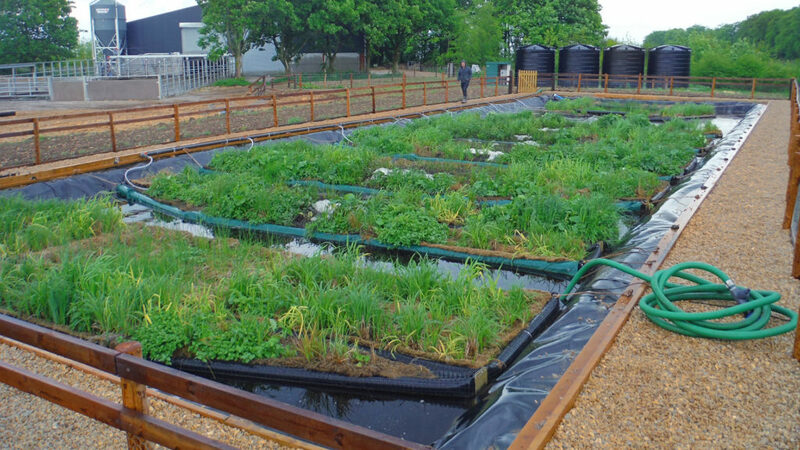 Grown out of two decades of experience with natural water treatment systems, from constructed wetlands to lagoon or tank based systems, Biomatrix Water have developed this modular systems approach. 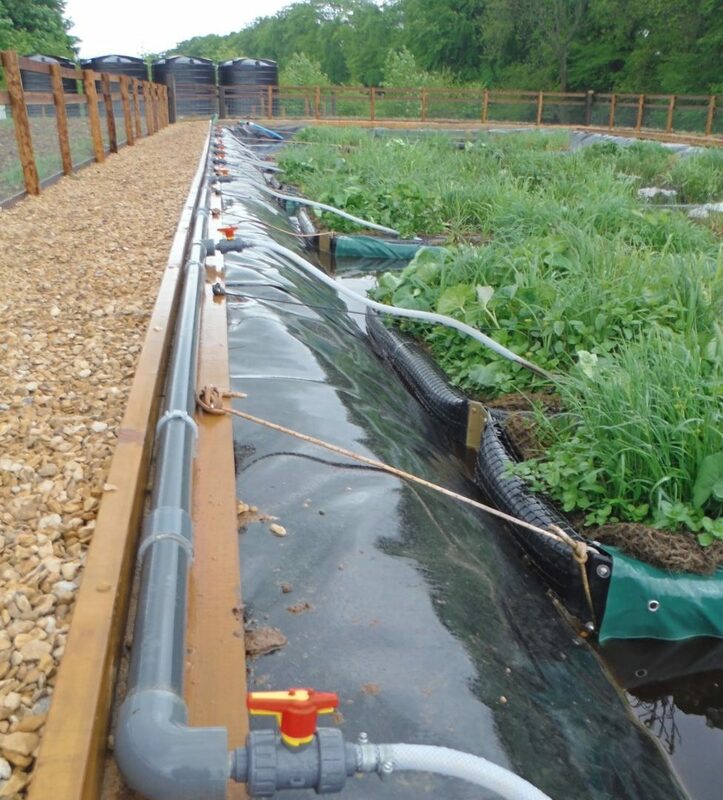 The Helix component modules allow for increased integration of the best features of each well-proven ecological treatment system, while overcoming previous system constraints, such as large footprint size. 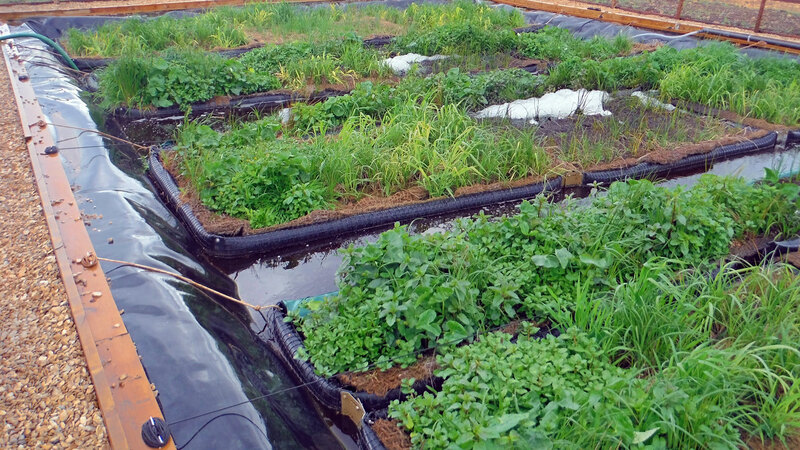 Biomatrix Floating Ecosystem Modules are applied throughout the system, to form a durable floating platform with planted ecologies. 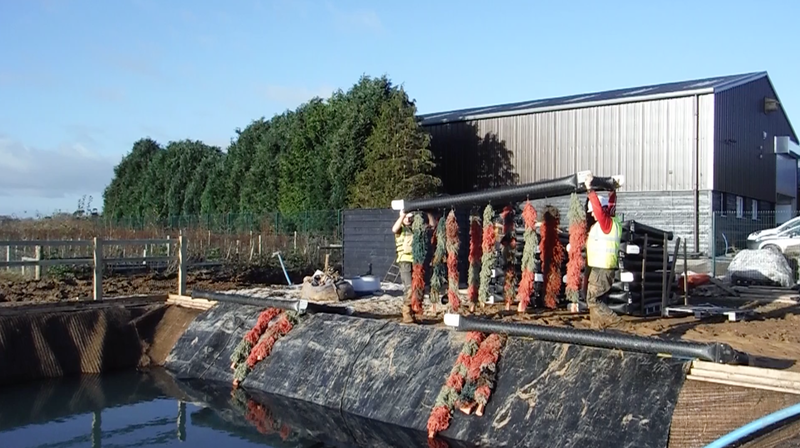 Attached Dynamic Media Columns are suspended in the water below to exponentially expand the biofilm surface area and extend it down the full depth of the water body. 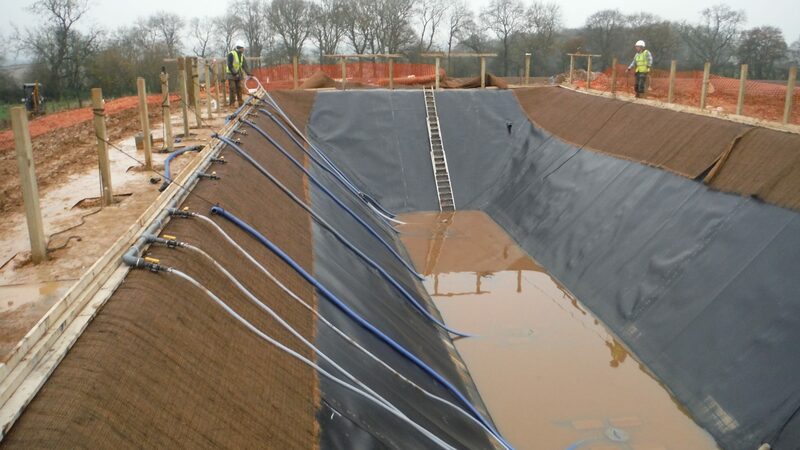 Helix Flow Reactor tanks are integrated and lined excavations, with baffle partitions, avoiding the need for costly structures and civil works.  The HFR is a more affordable option for industrial and residential developers as well as for end users. Baffle partitions separate process zones, creating a cascading spiral flow pattern to increase retention time and treatment proficiency. 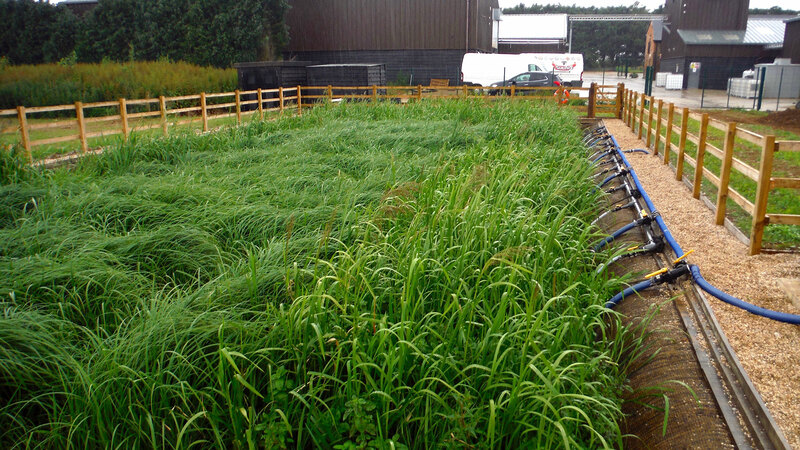 The longer retention times and biodiversity allow for more complete biological treatment, typically suitable for re-use and reclamation. Embodied energy and associated embodied CO2 emissions required is less than half of a conventional water treatment system. Significant decrease in use of materials such as steel and poured concrete also reduce the embodied carbon in the Helix Flow Reactor design.